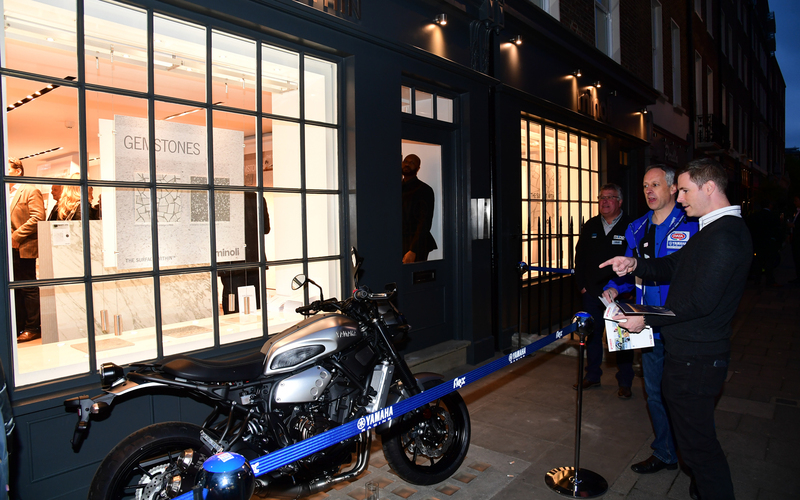 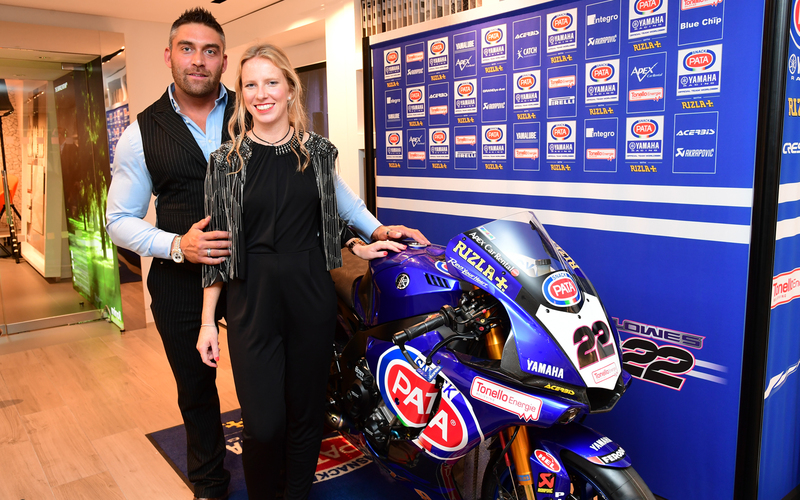 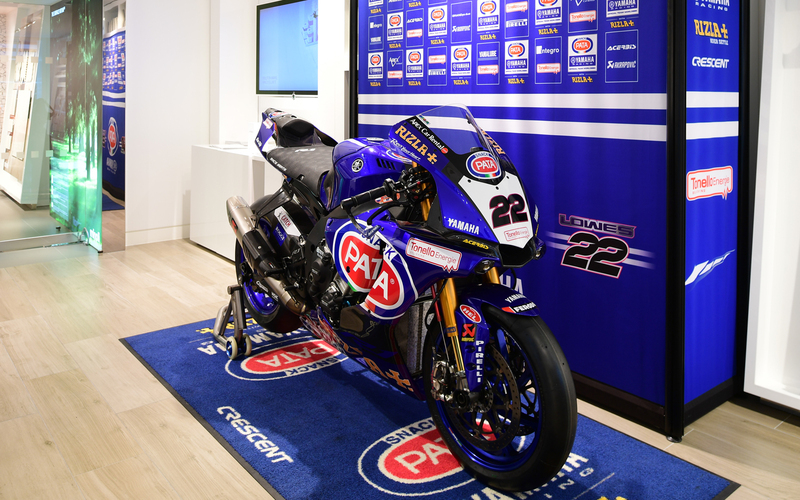 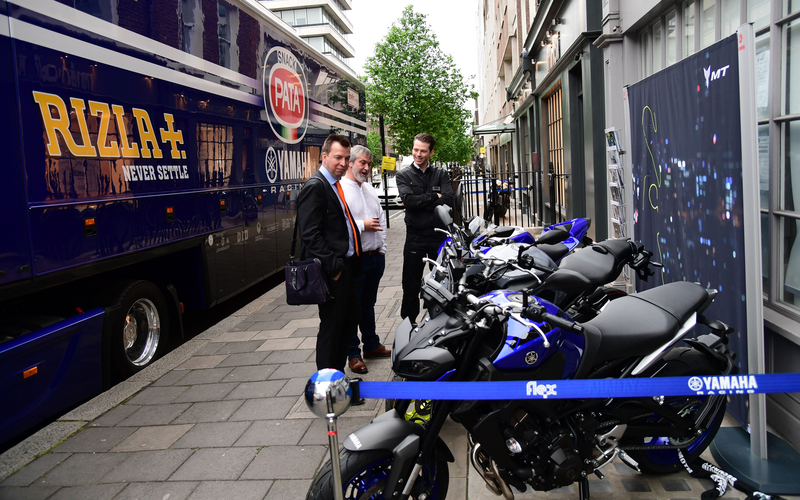 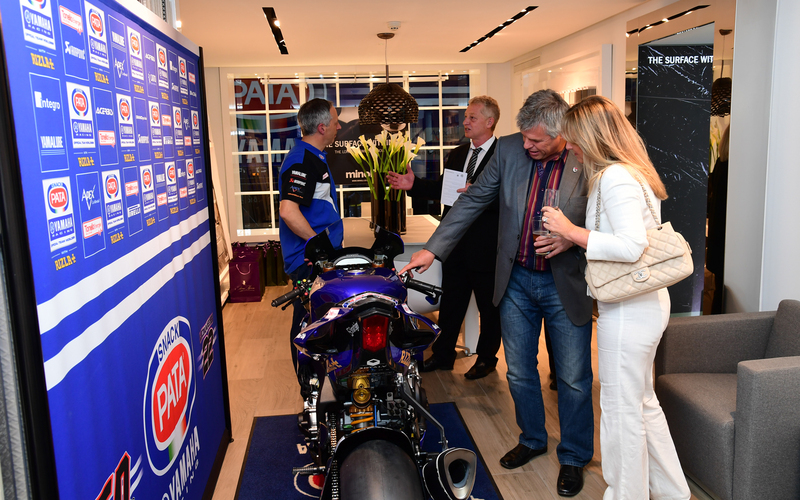 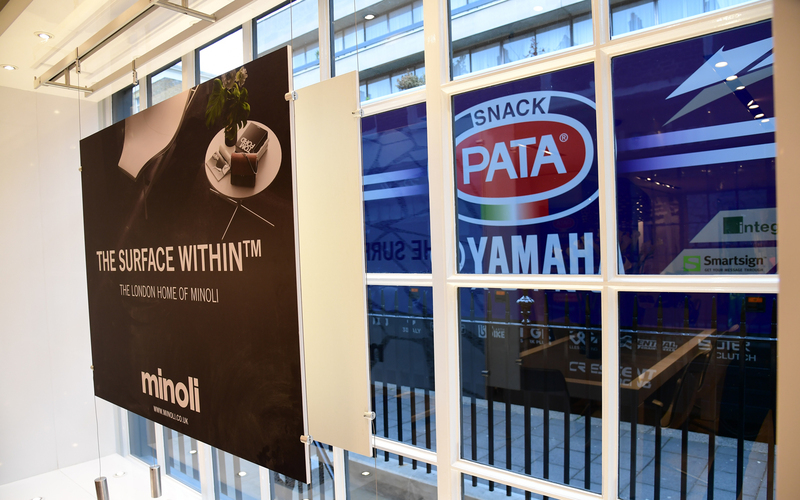 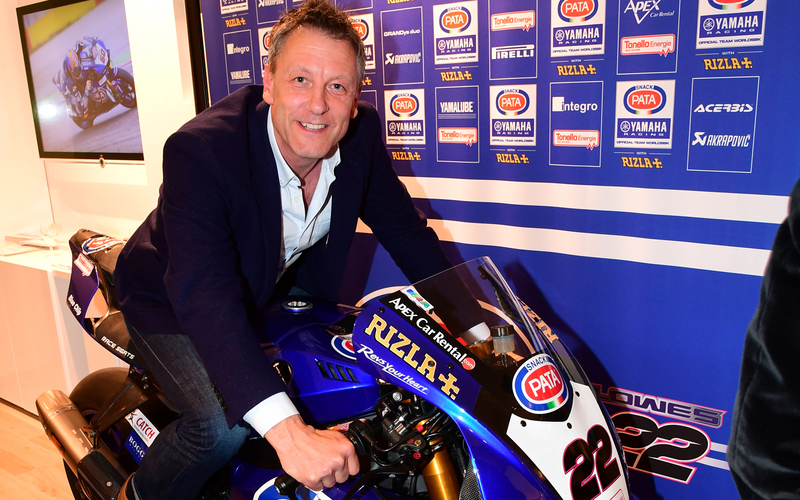 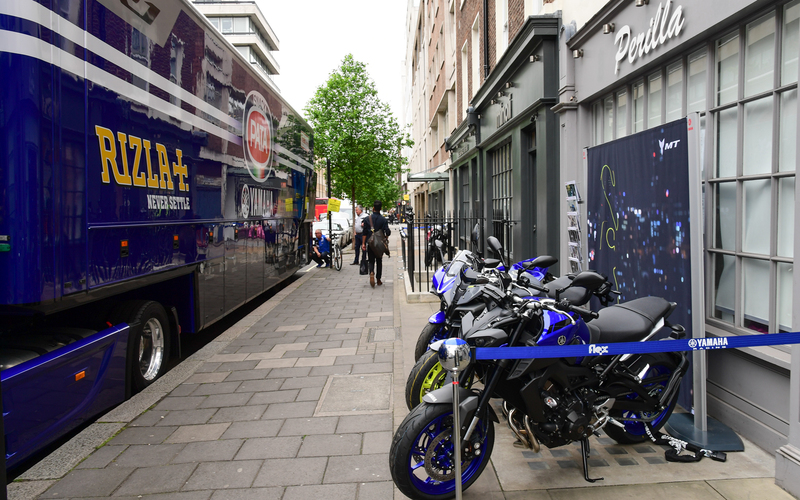 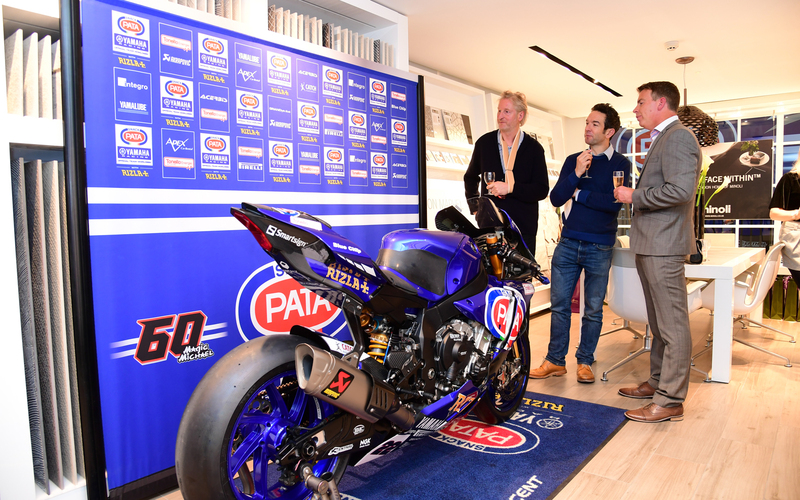 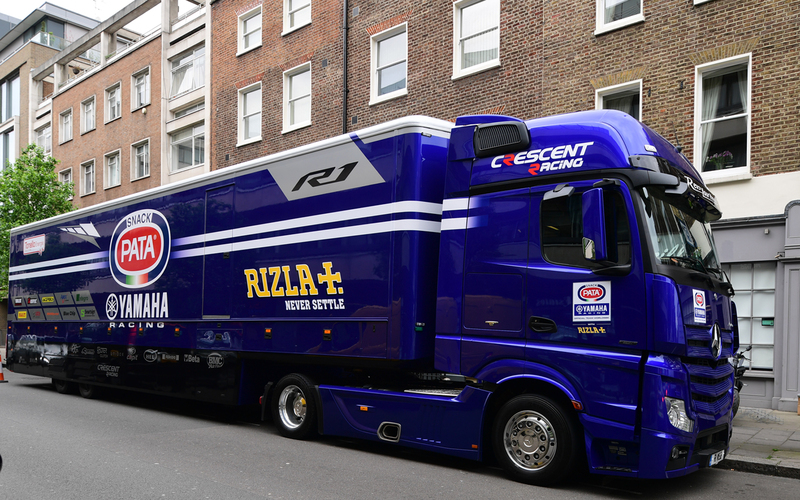 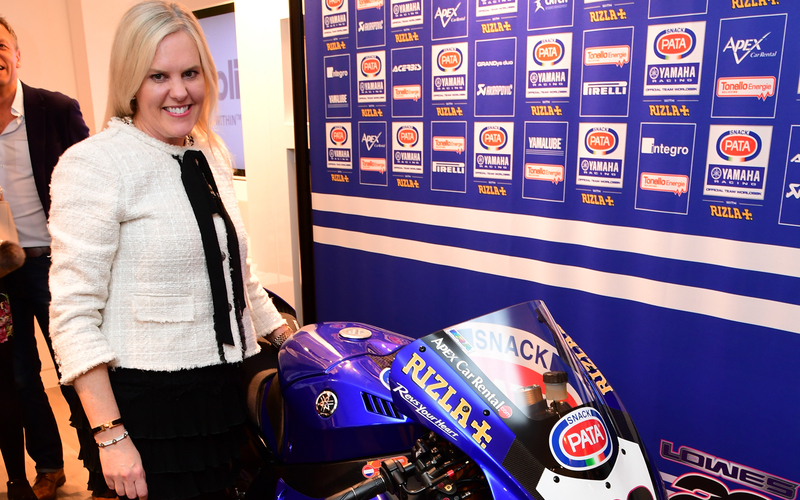 On Thursday May 4th, Minoli welcomed Paul Denning and the Crescent Yamaha World superbike Team to George Street… complete with full Race Truck! 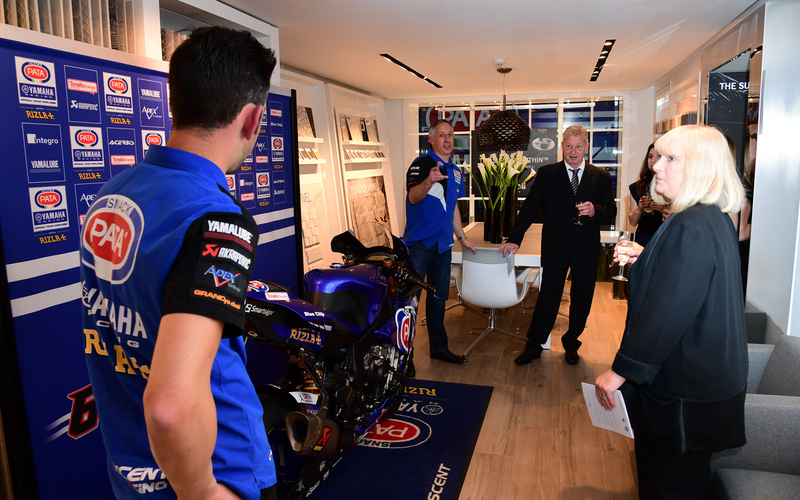 An evening within Minoli London for an exclusive guest list of Minoli clients, who work predominantly in the development and automotive sector had been arranged to include a display of the actual World superbikes that the team campaign worldwide in this most exciting of race series, the Teams Race Truck, which made a very serious impression on the residents of W1. 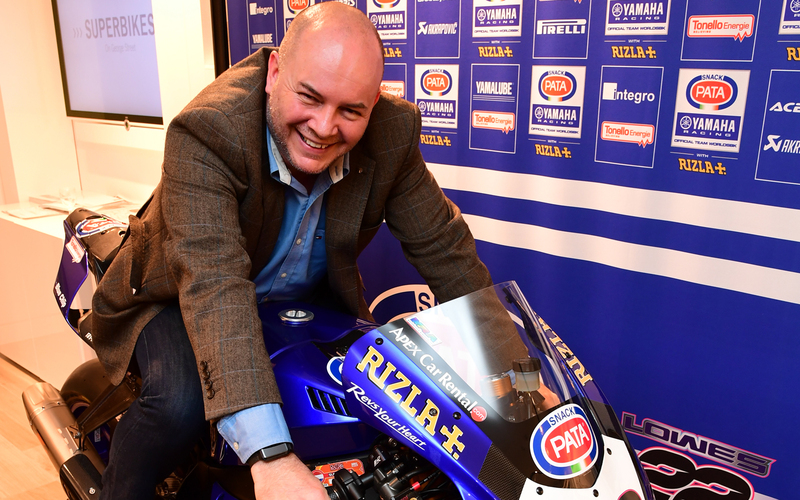 After an introduction by Jonathon Minoli, Paul Denning gave a presentation which was an insight into the world of running a highly professional and completive racing team on a worldwide platform as well as integrating this with the operation of a very successful Motorcycle retail business encompassing several dealerships and leading franchises. 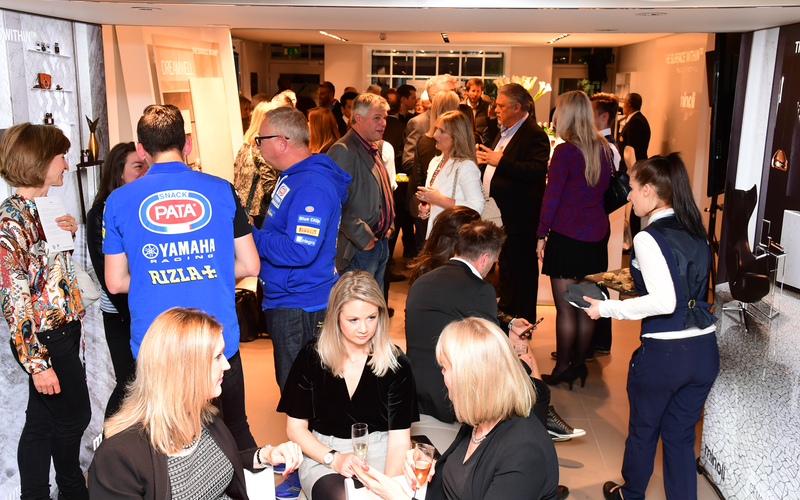 With well over 100 guests totally enthralled by the talk, which was a clever mixture of anecdotes and facts Paul managed to relay to even those in the room with no great knowledge of racing, how the operations of such a team and the commitment needed translates in to a more regular commercial operation. 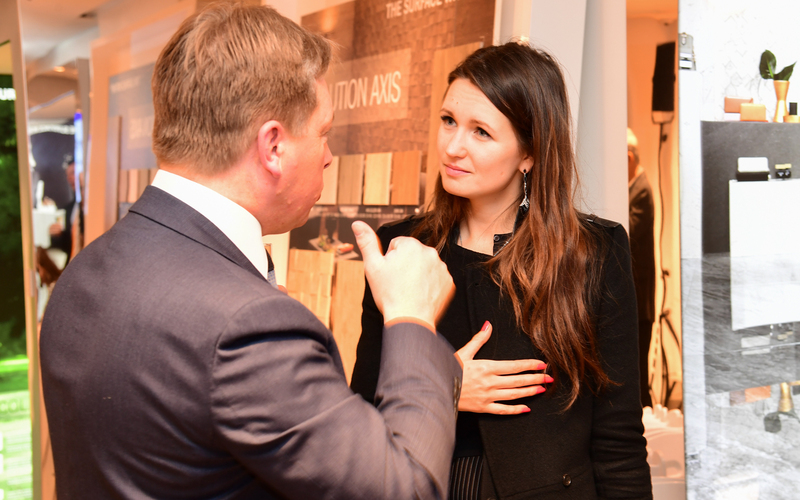 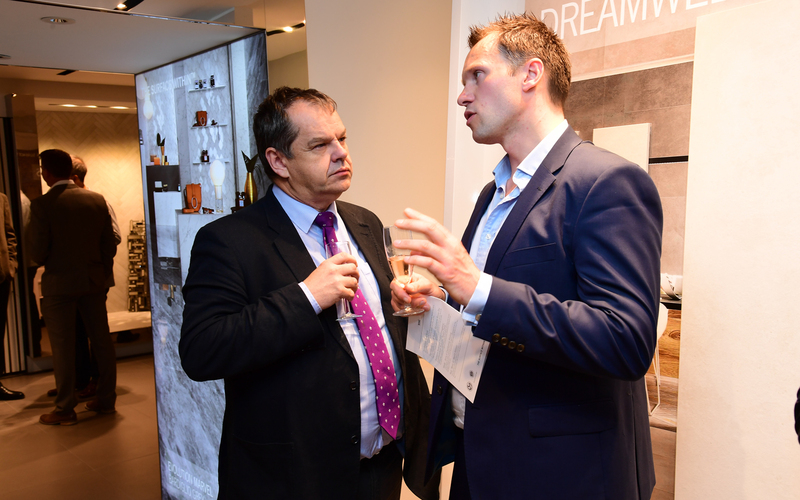 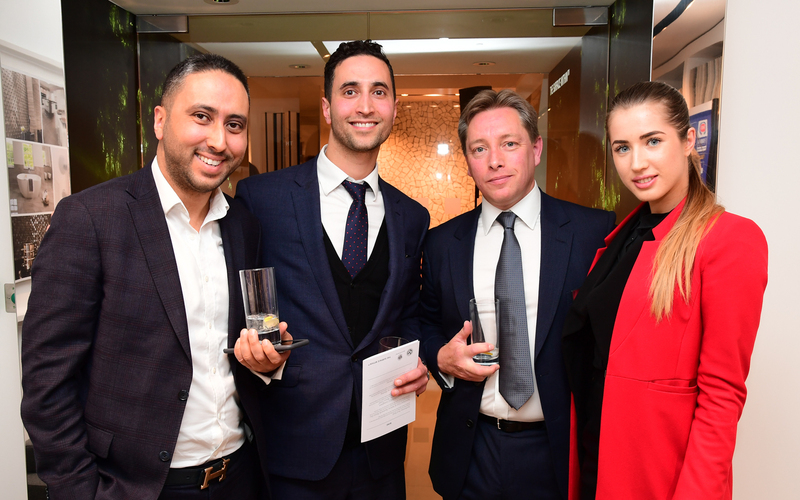 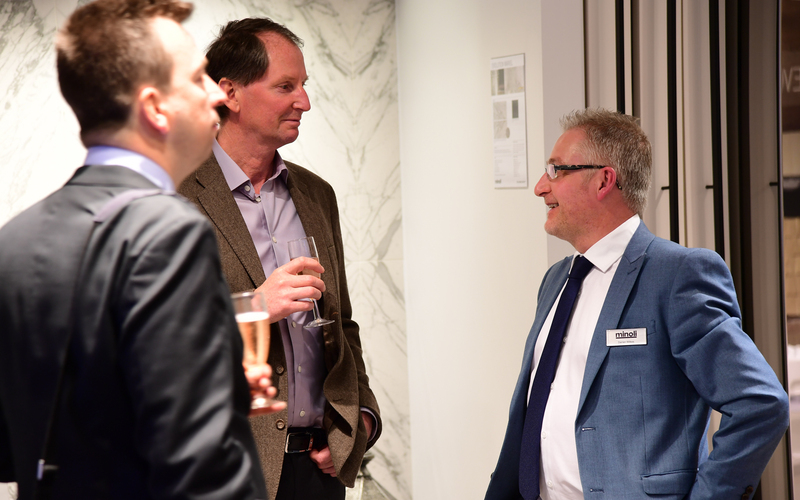 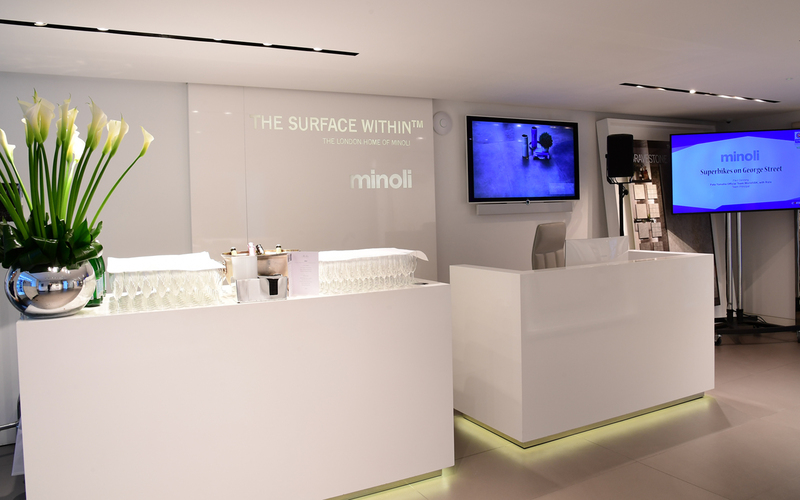 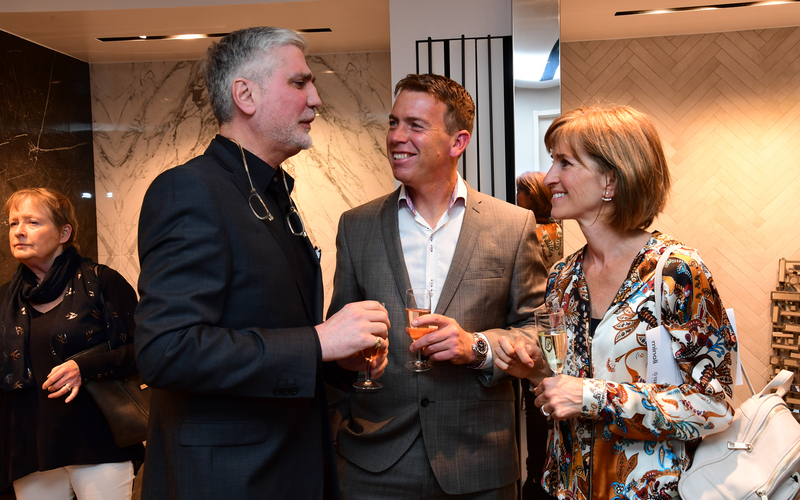 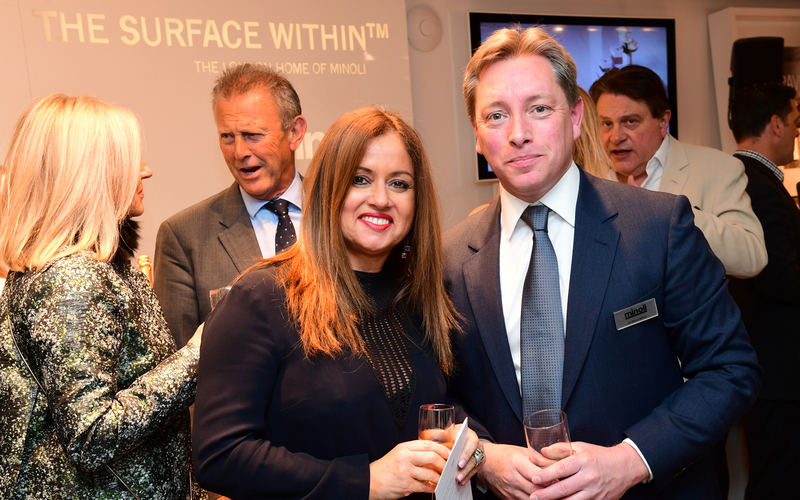 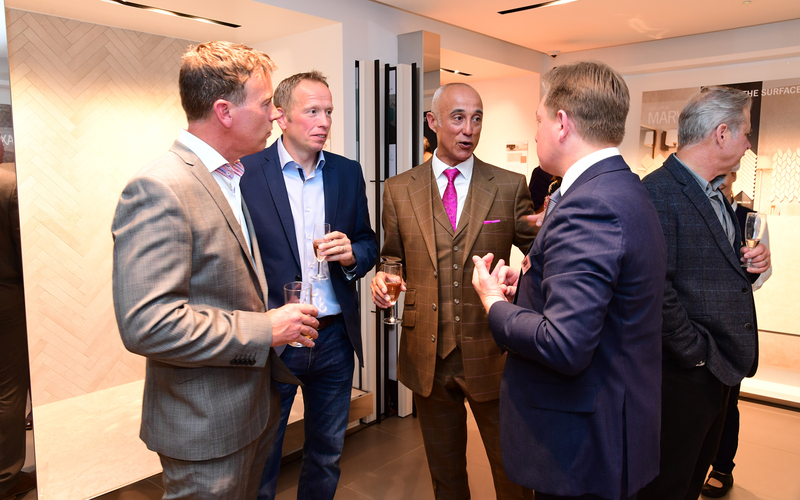 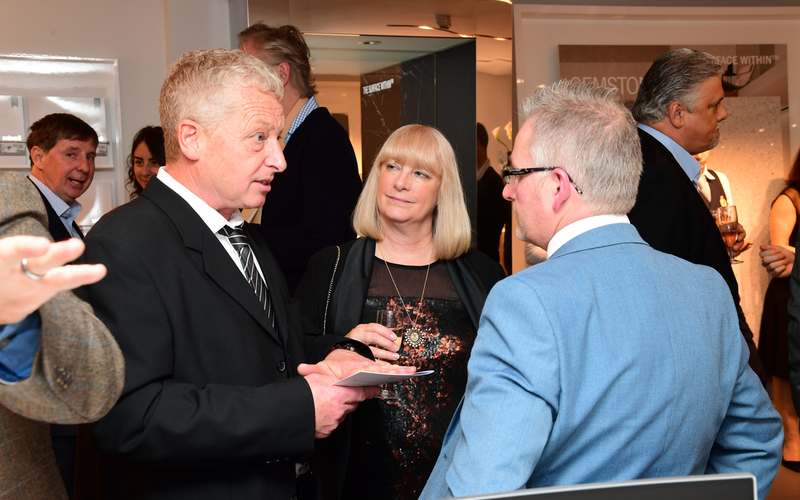 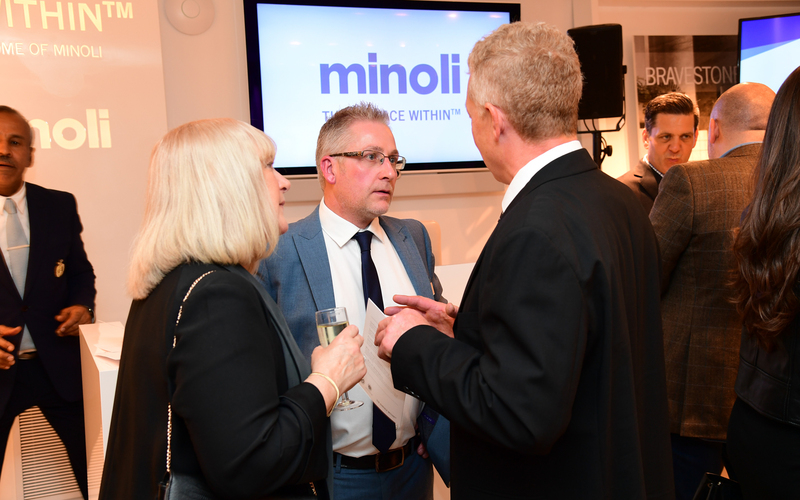 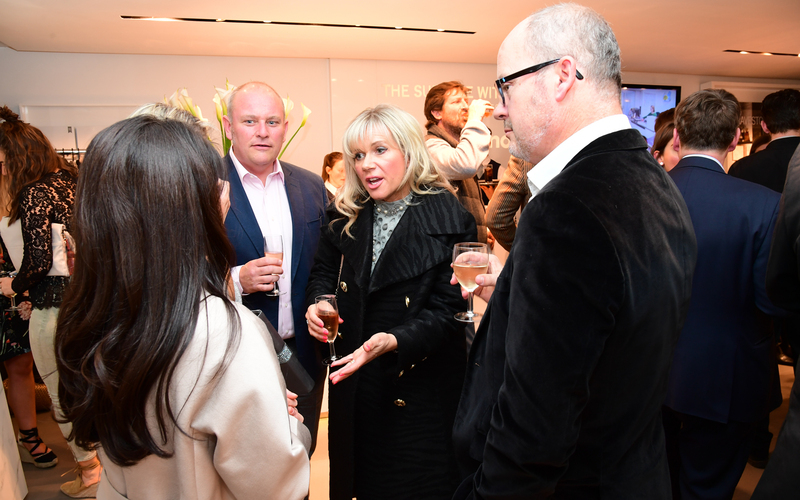 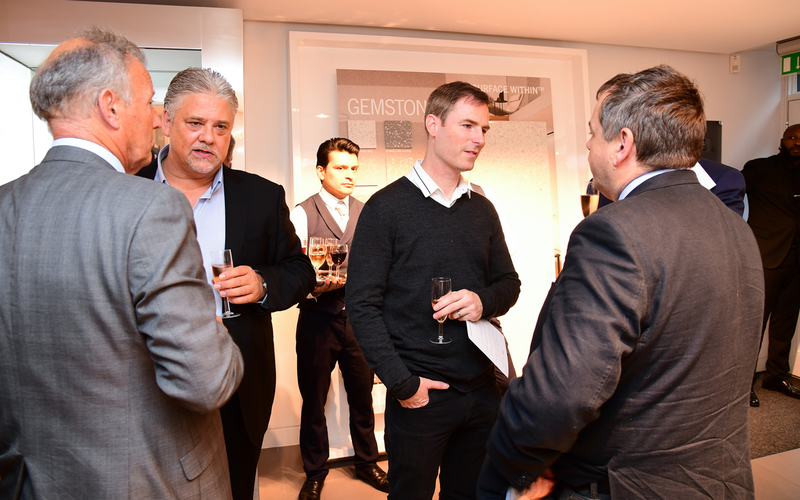 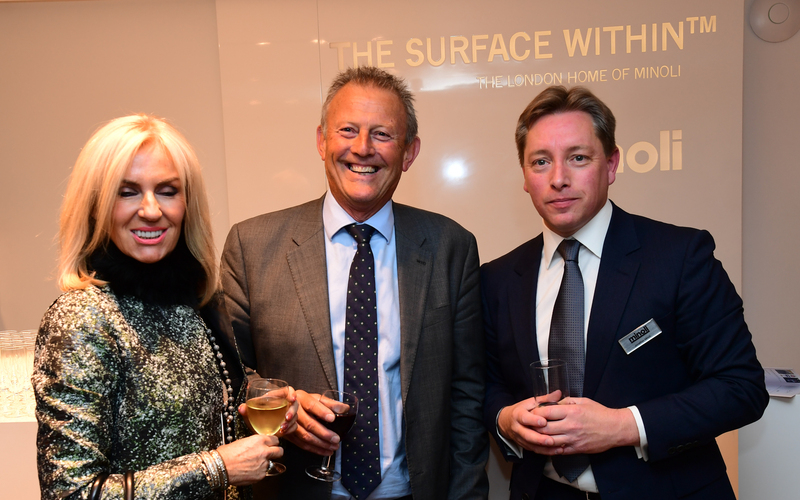 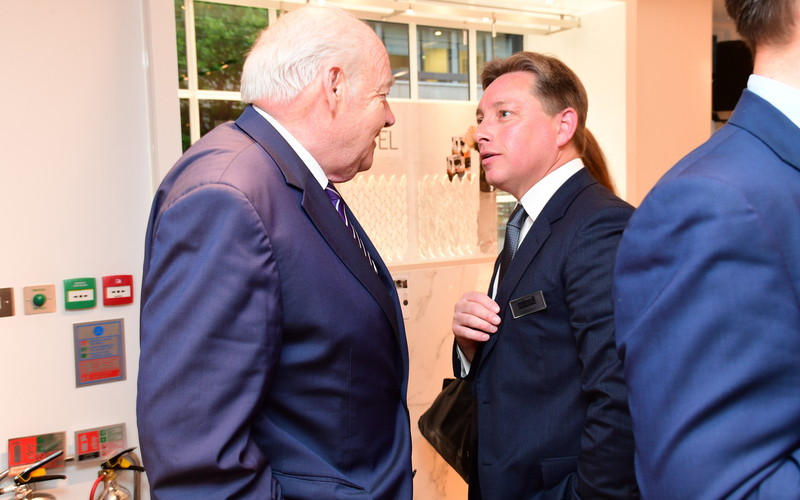 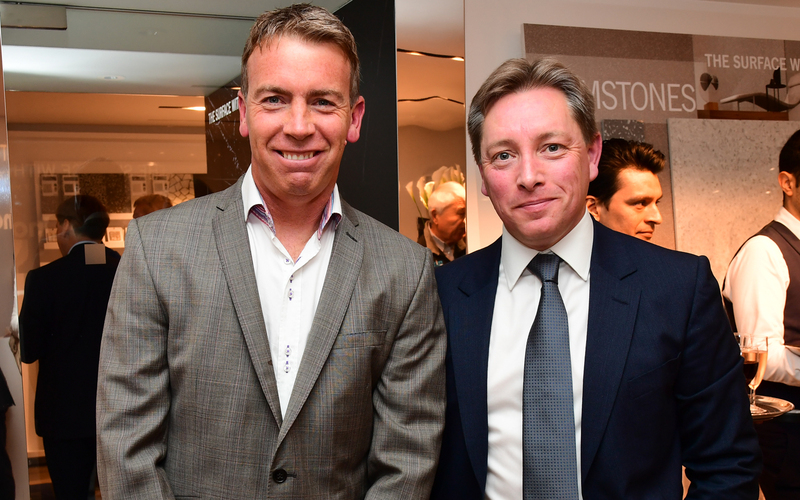 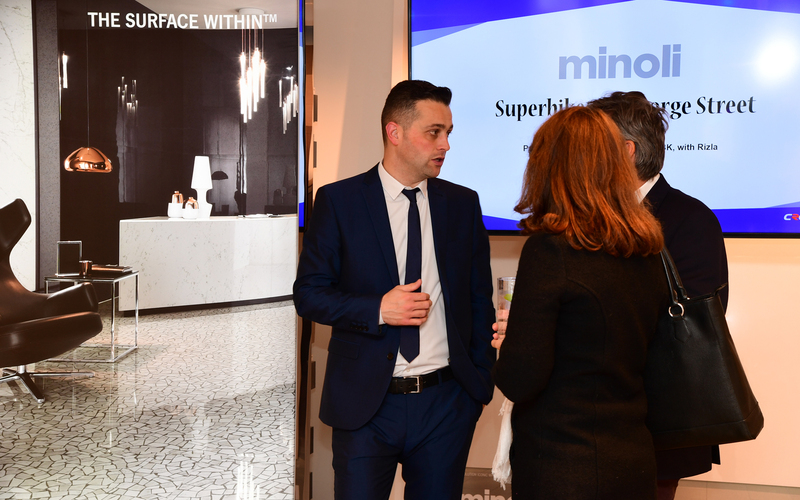 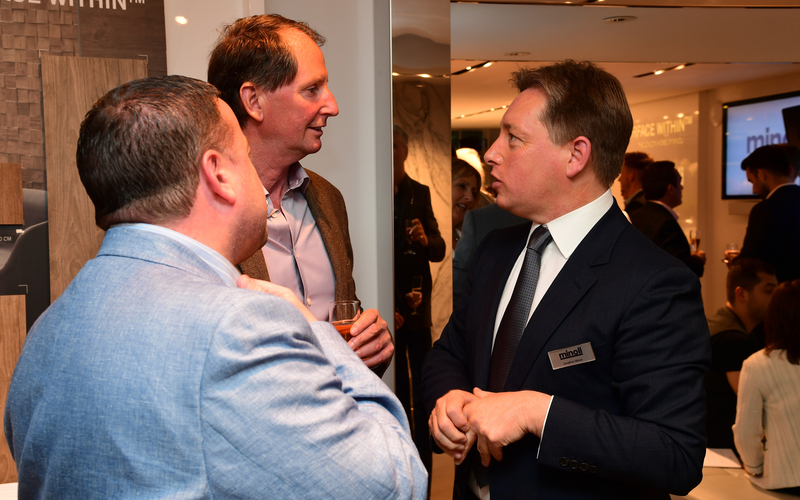 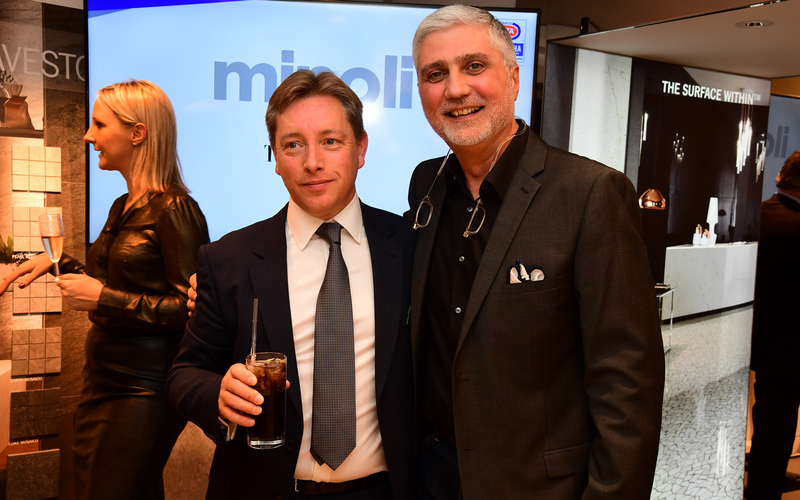 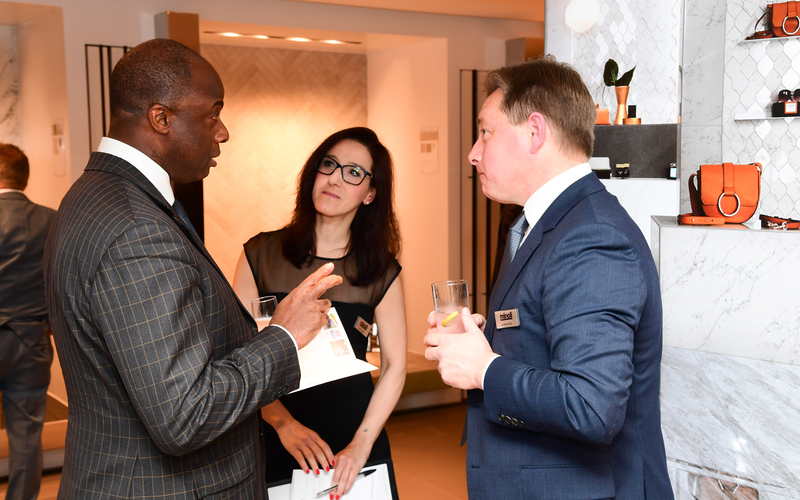 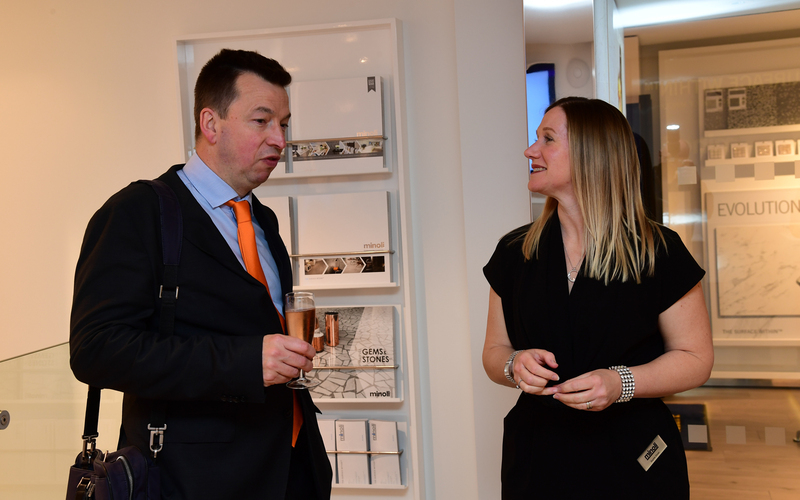 Jonathon Minoli, Managing Director of Minoli commented, “we were truly delighted when Paul agreed to come along to Minoli London to present a view of his world to our clients, the guests were quite enthralled, as it is a business very different from that which those in the room are involved with day to day. 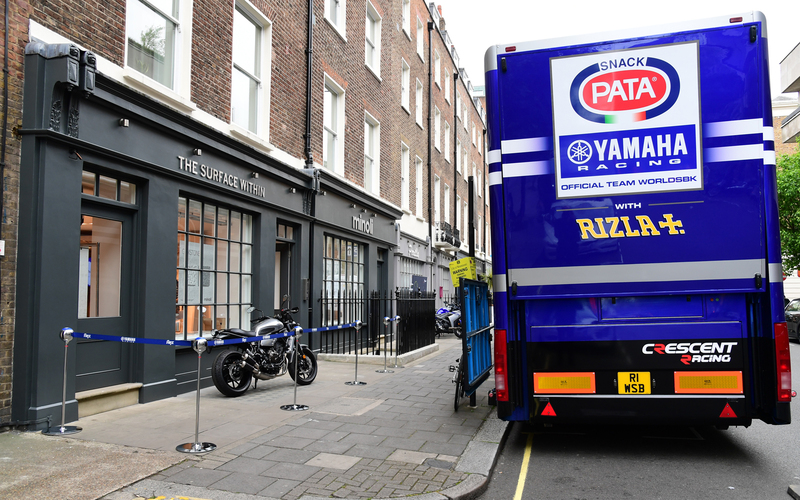 One of the most memorable points of the day was watching the full sized Team race Truck navigate through W1 and park outside the showroom, it was a very impressive site and we do have to thank our friends at Westminster Council for being so cooperative and making allowances for this to have been possible. 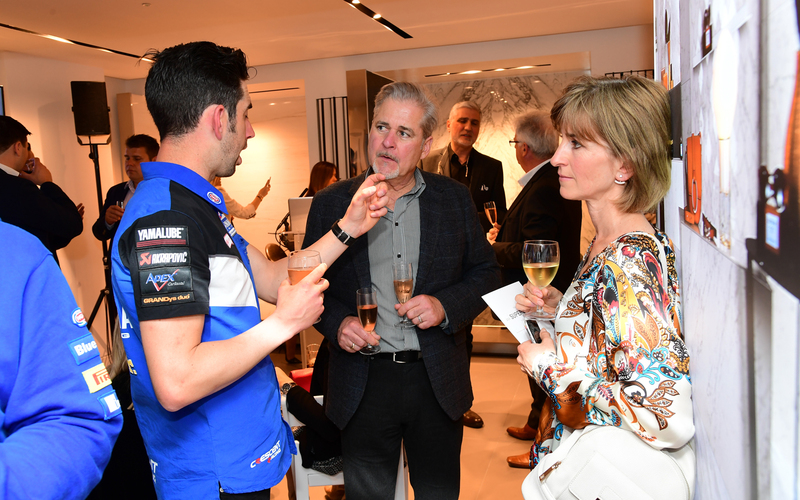 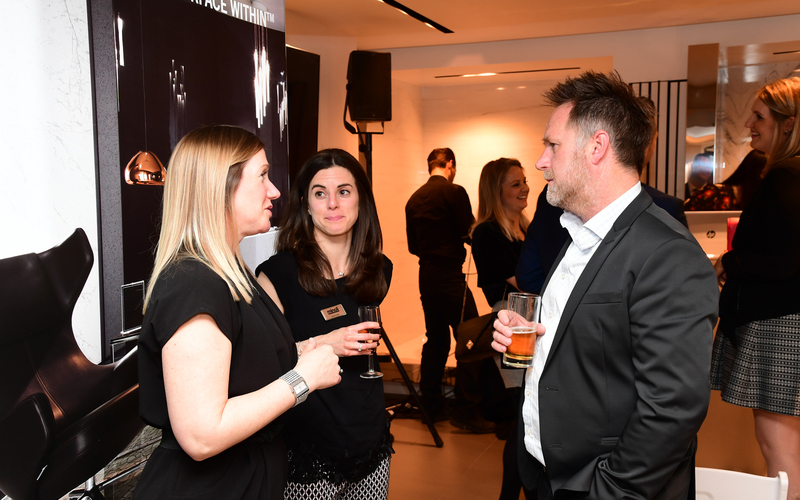 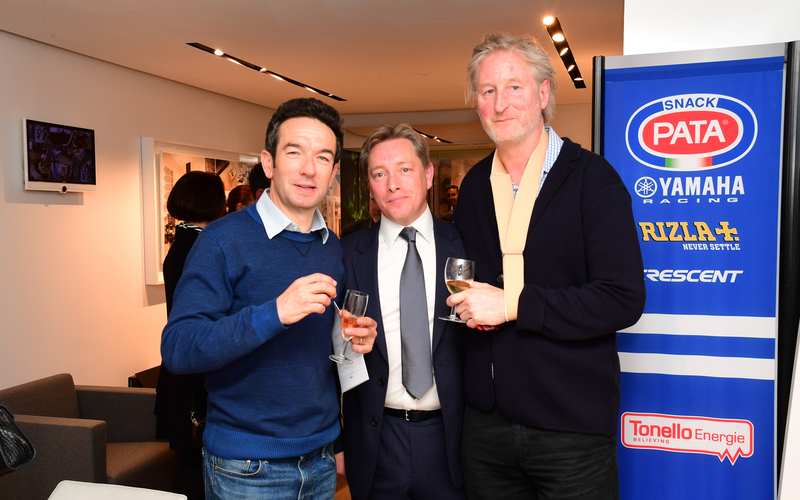 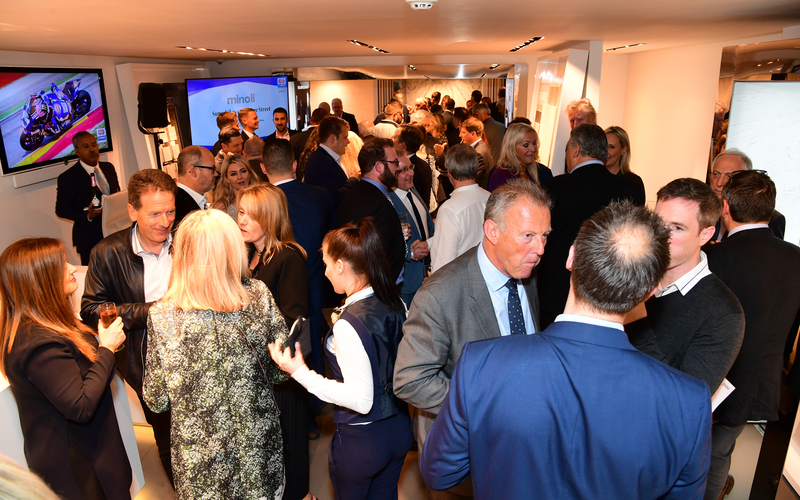 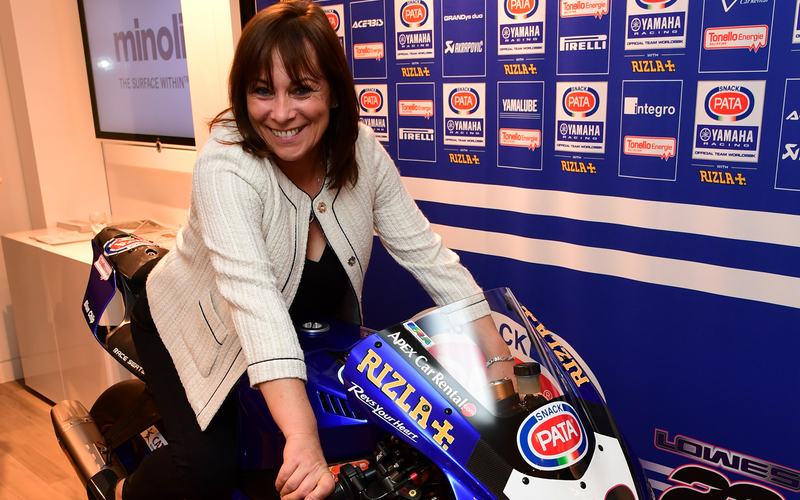 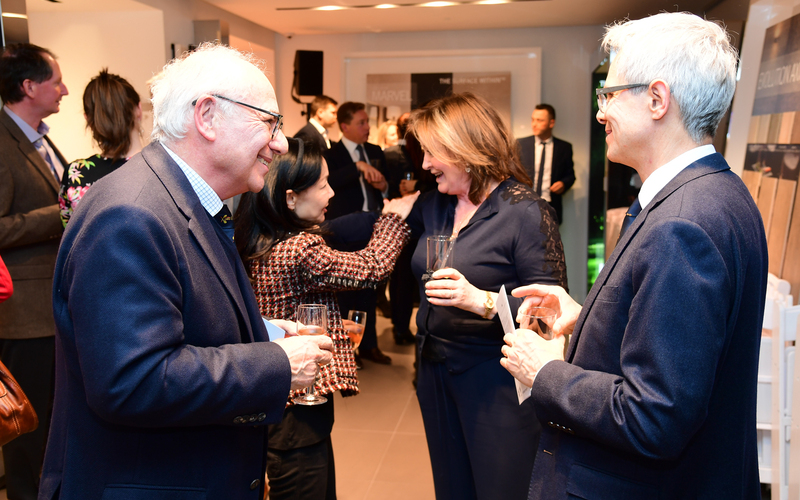 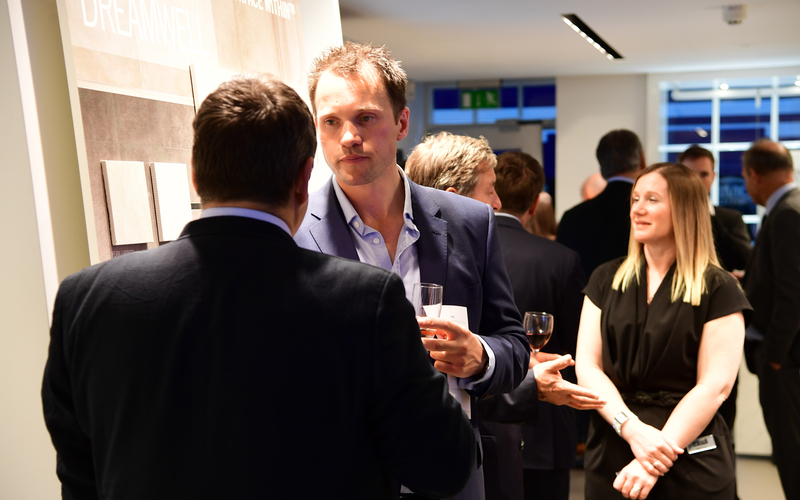 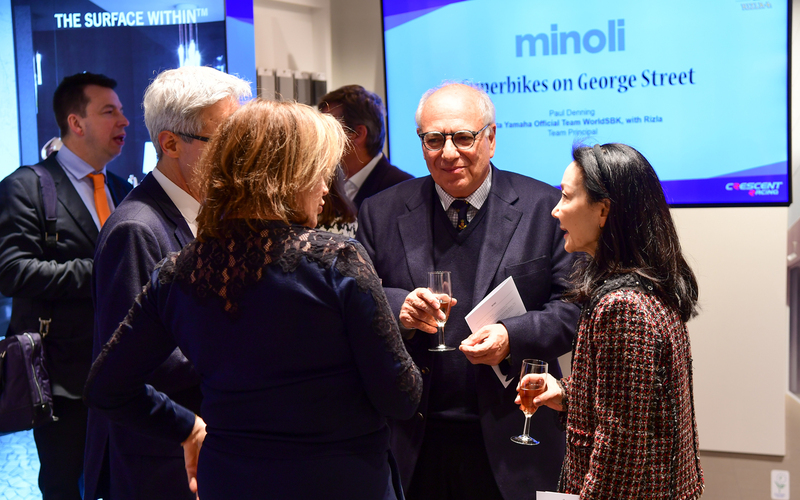 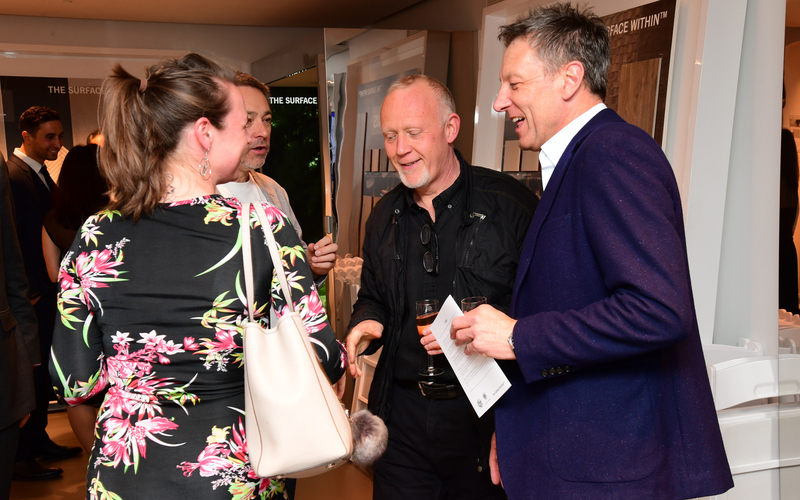 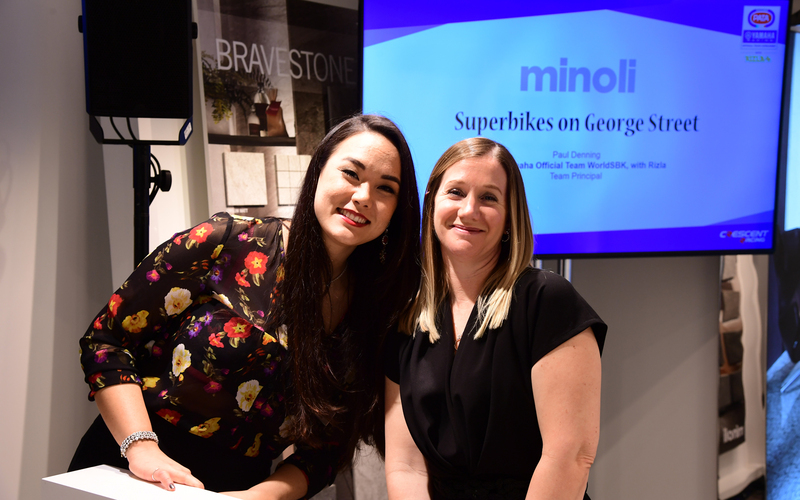 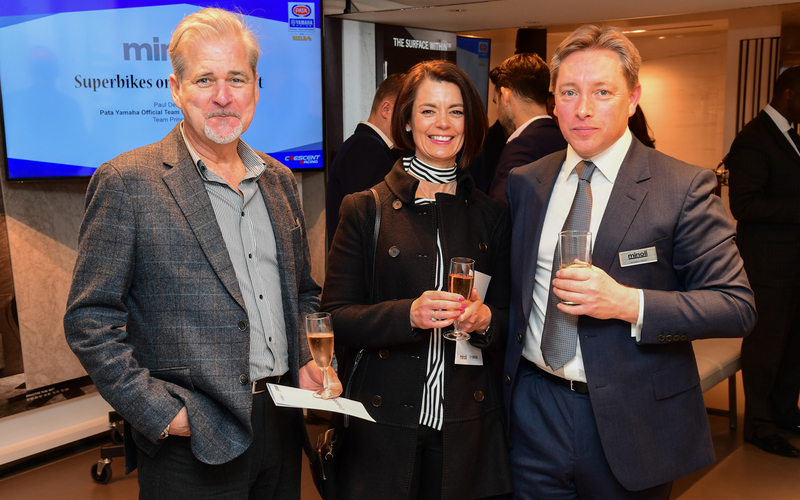 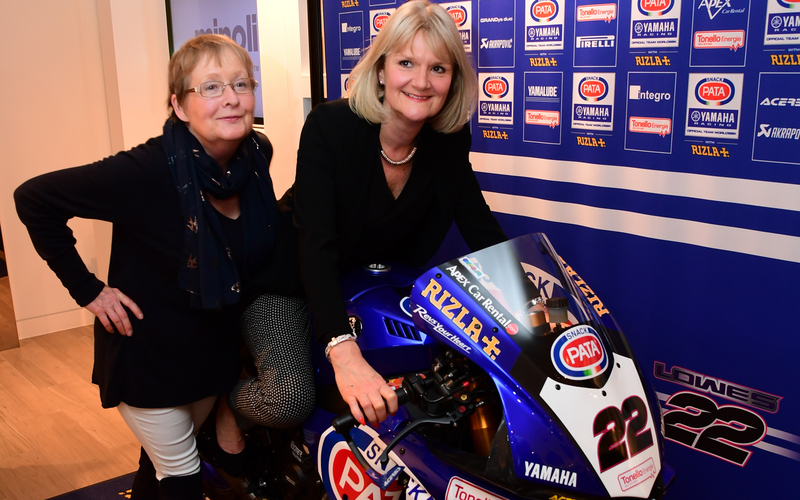 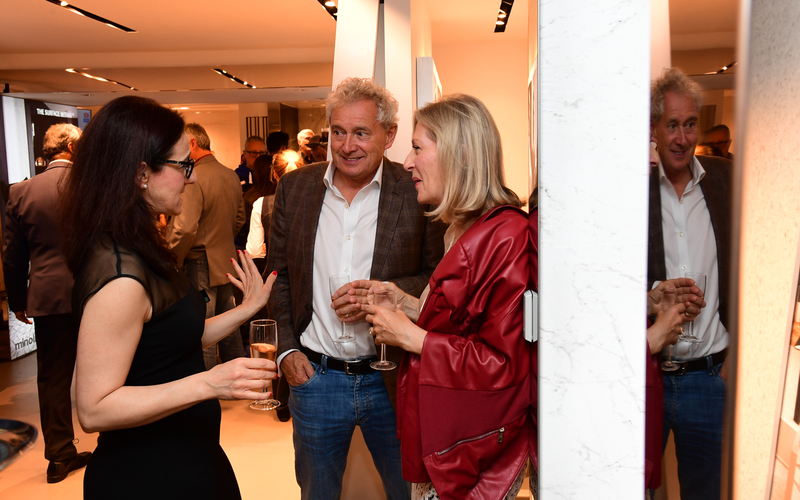 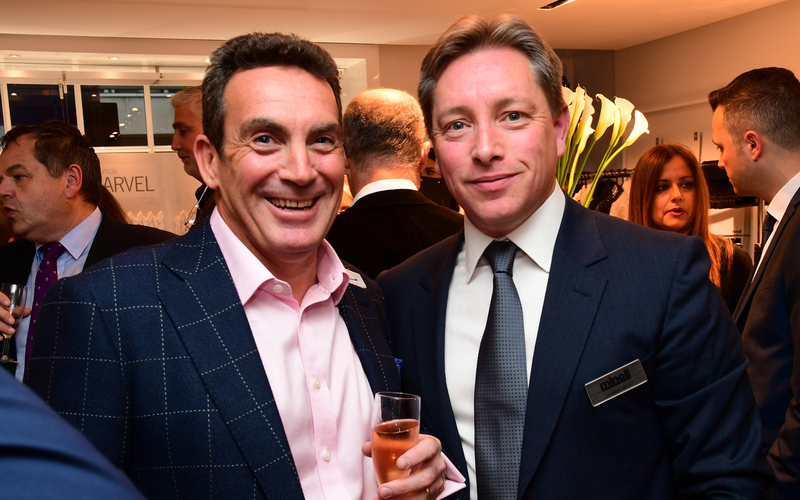 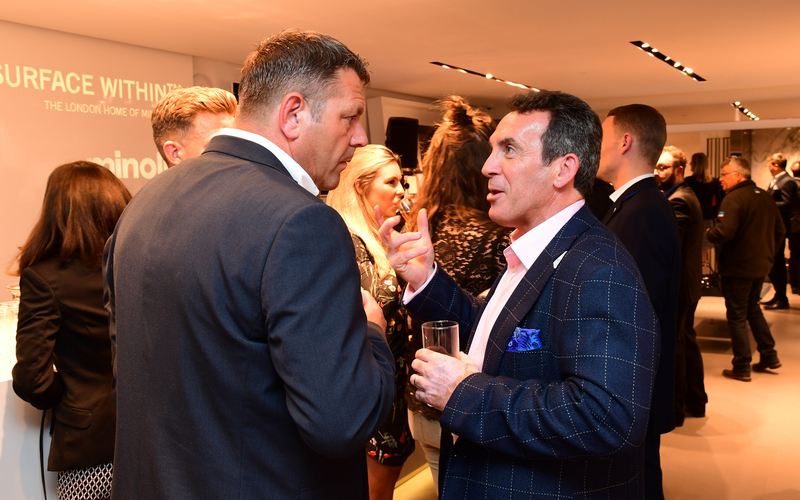 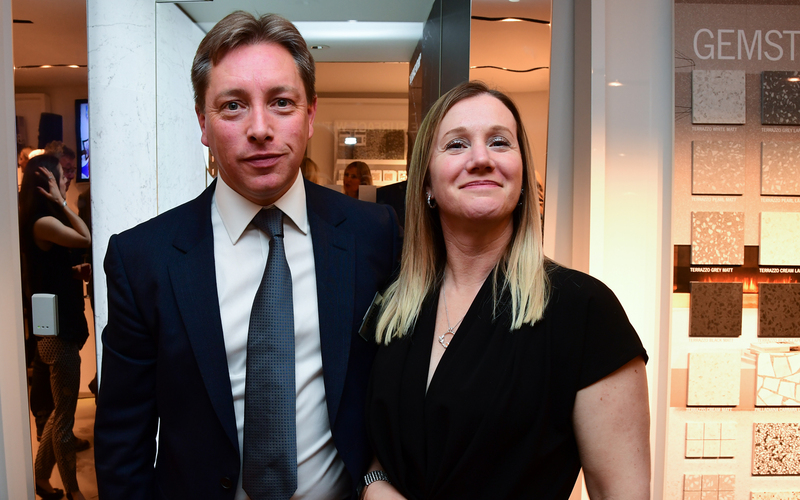 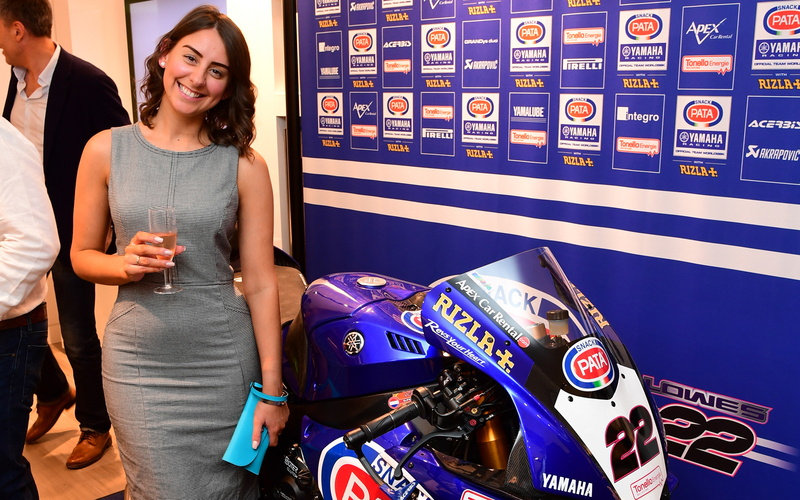 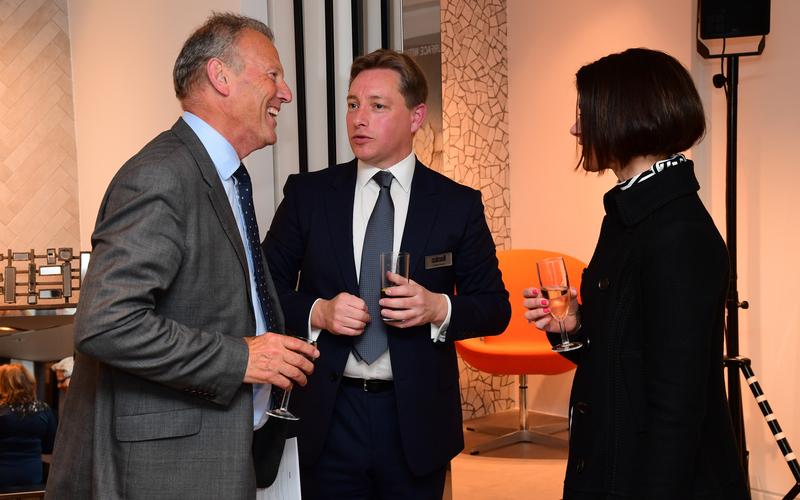 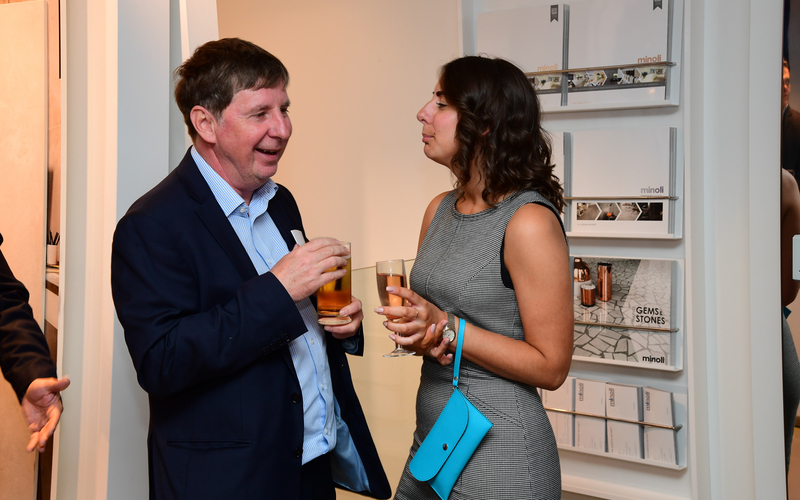 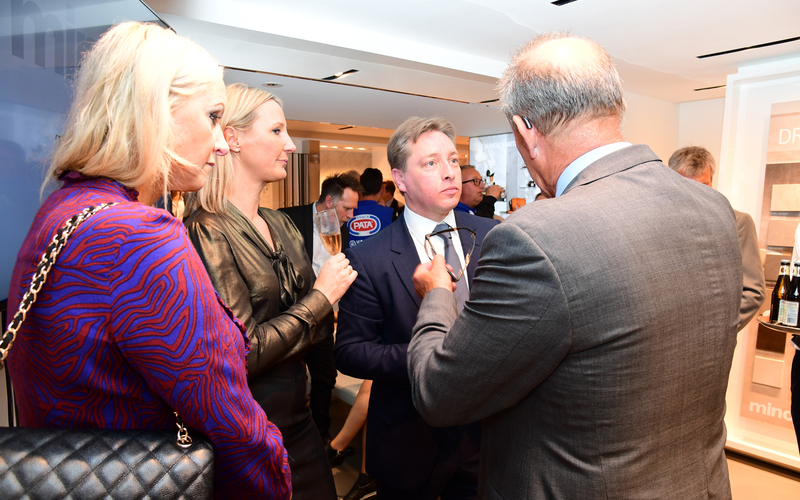 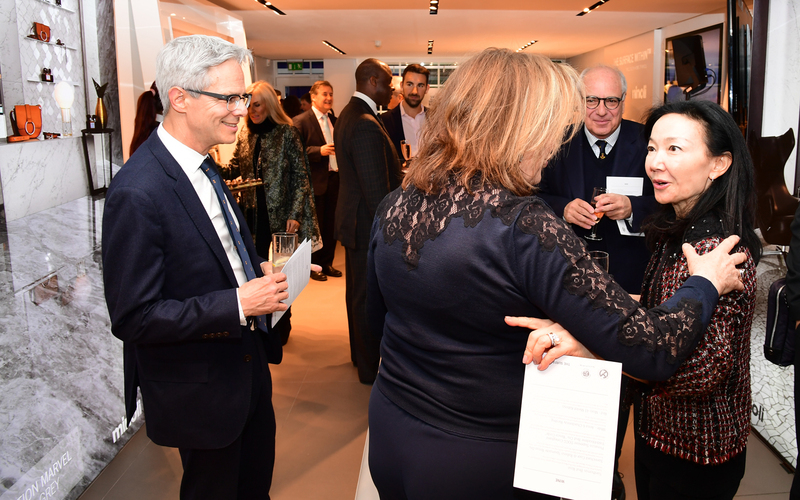 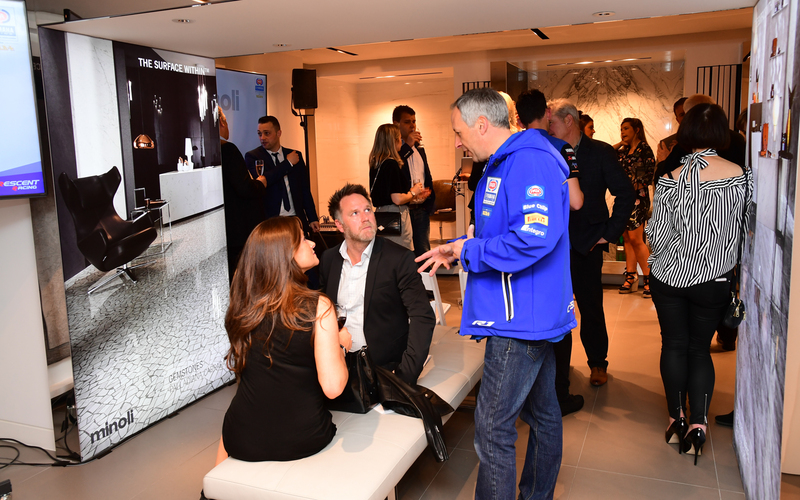 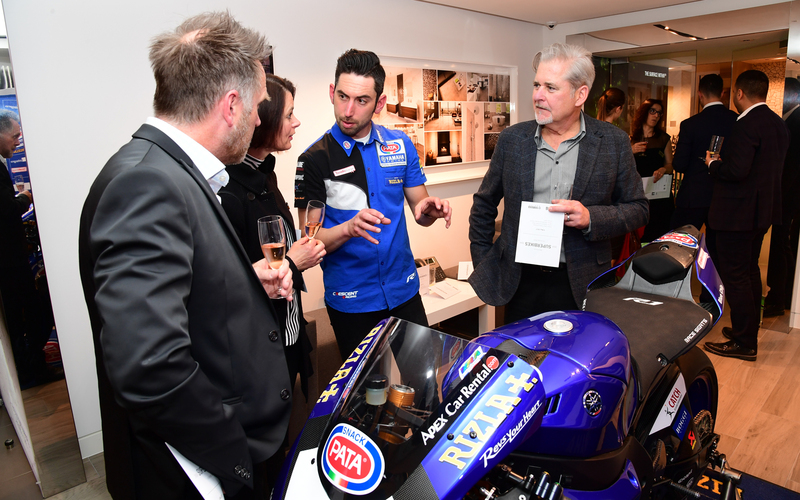 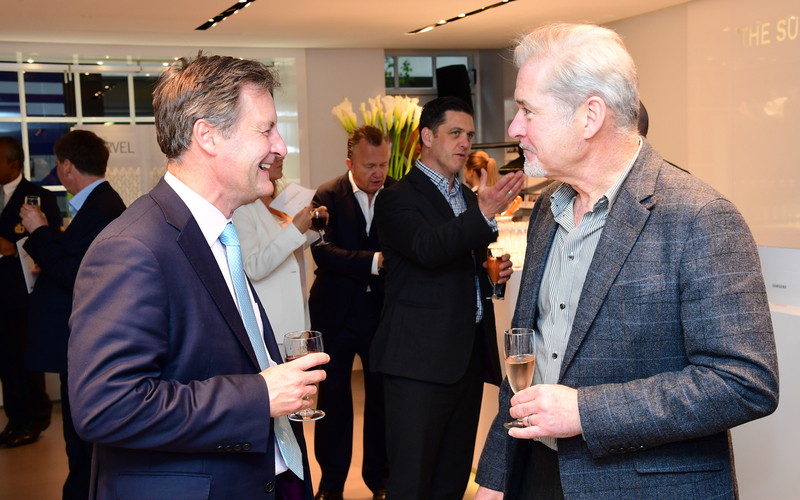 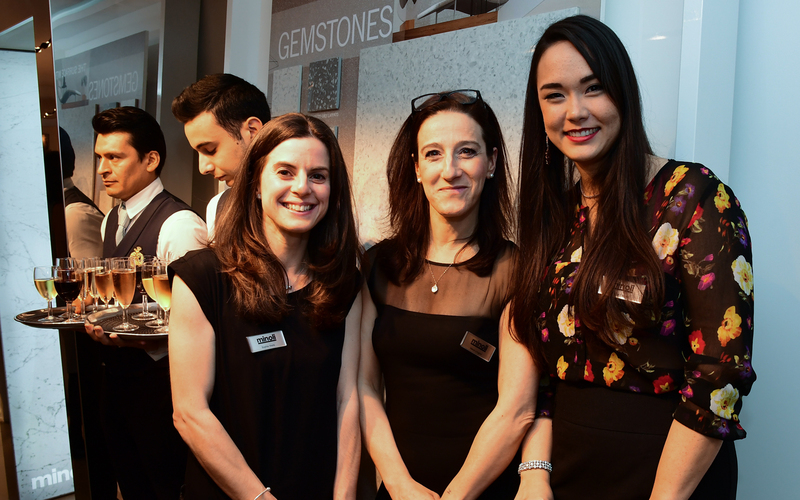 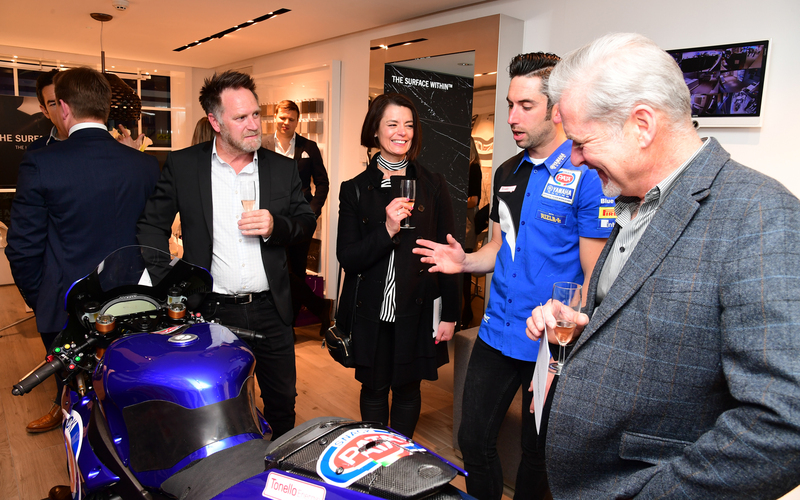 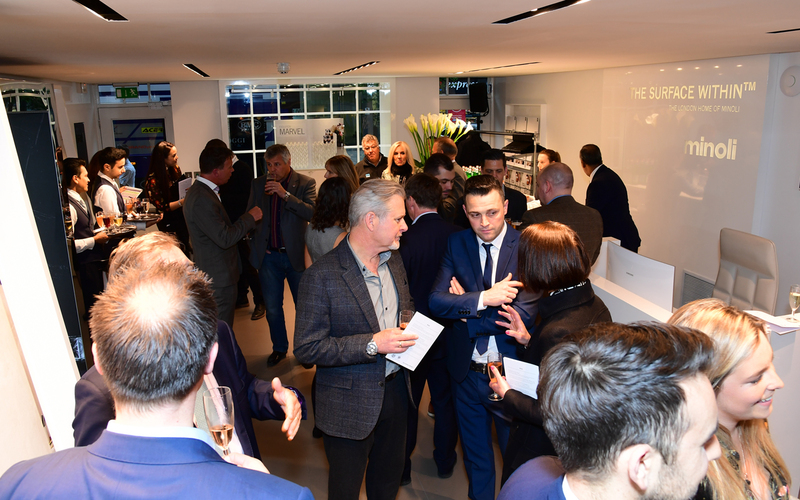 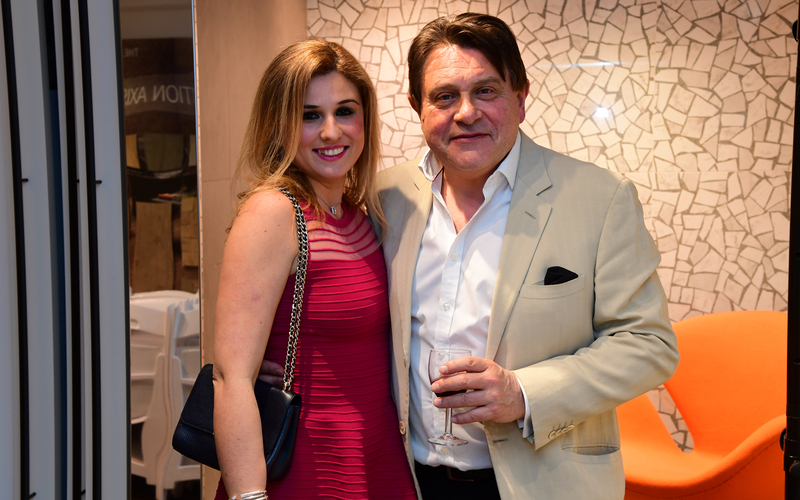 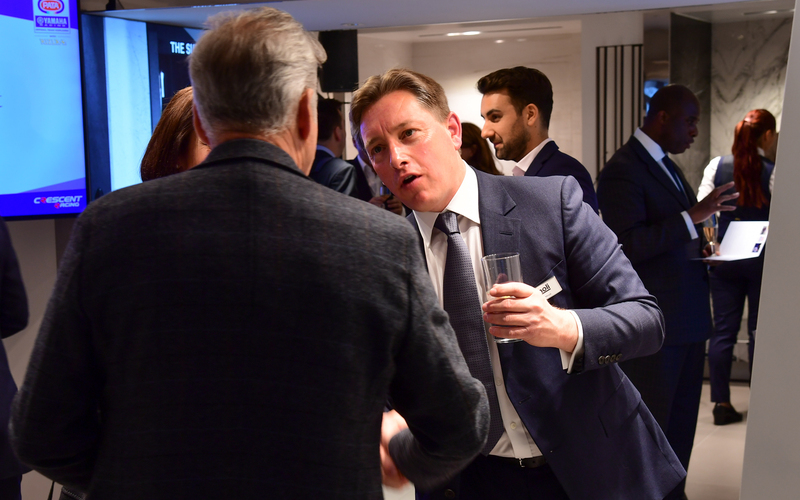 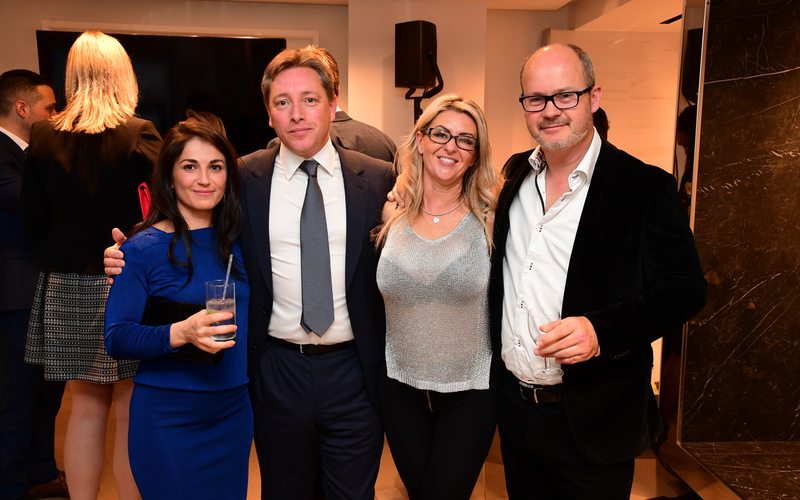 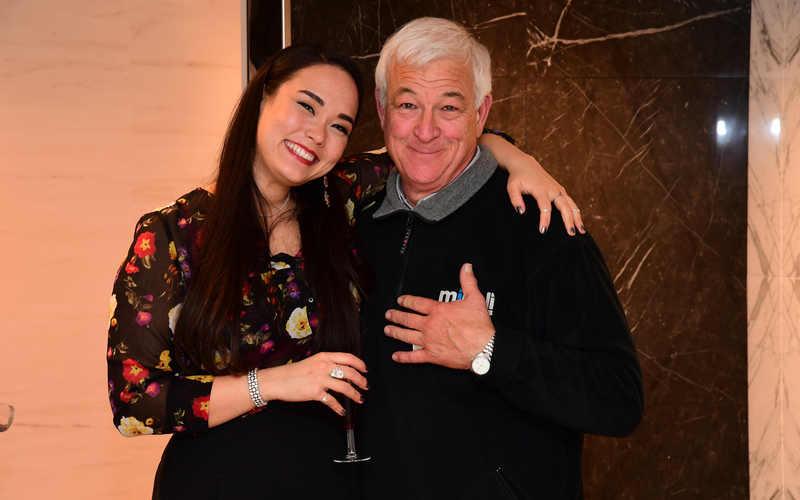 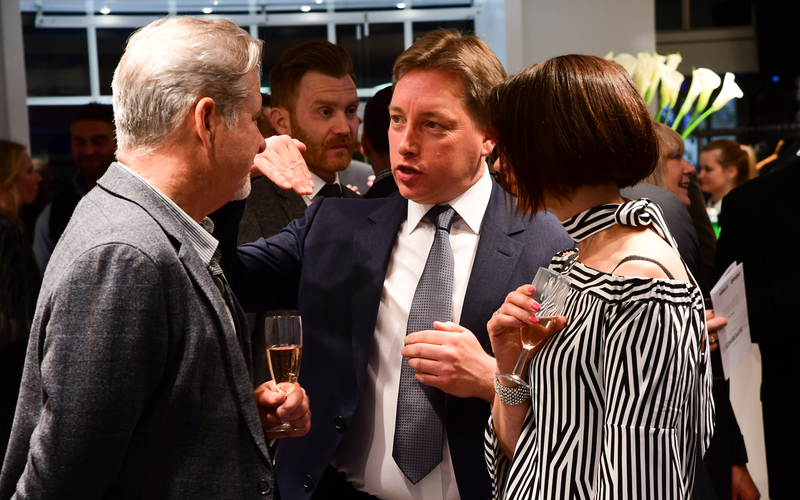 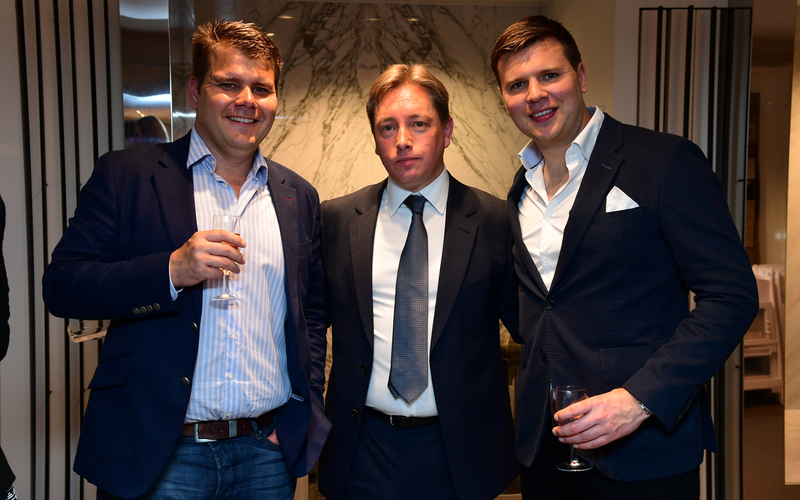 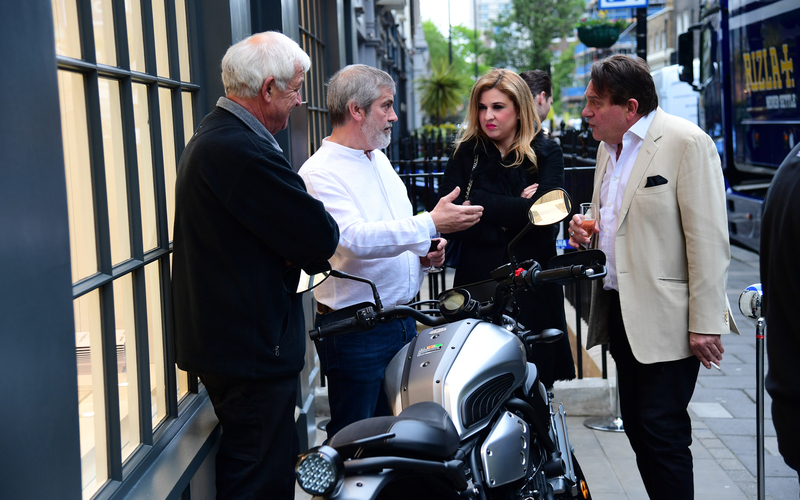 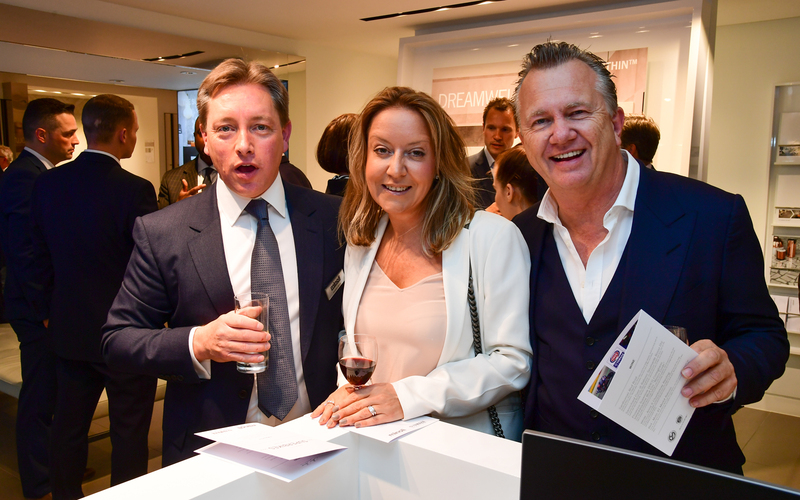 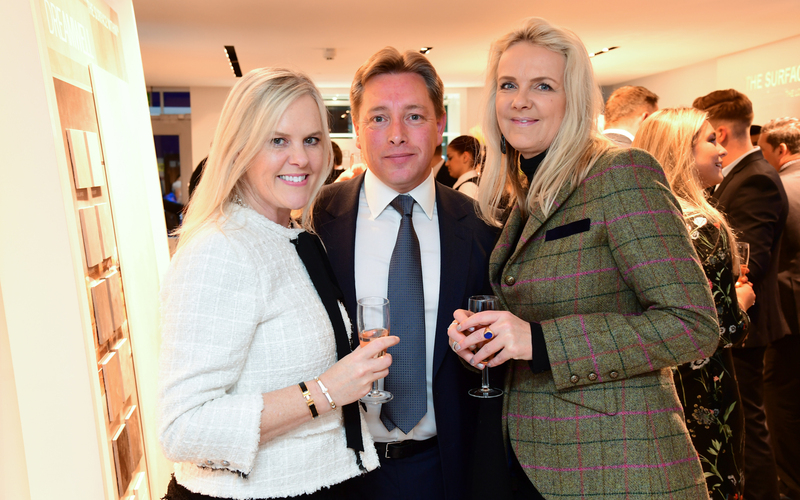 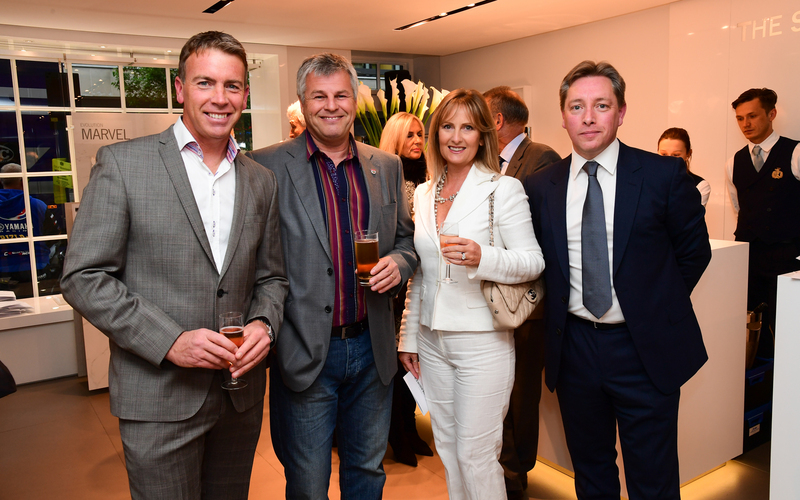 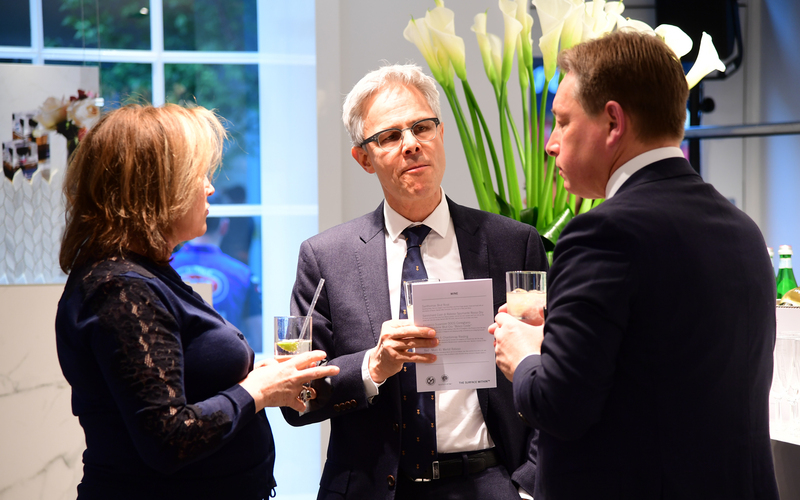 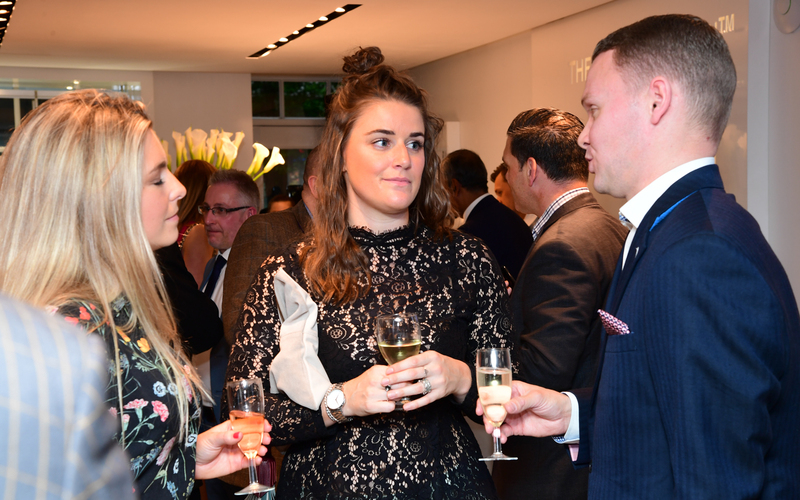 There are not many opportunities to get close to what is two wheeled version of an F1 car, but on Thursday evening Minoli clients were able to do so, as well as enjoy the most fantastic wines from Santome and canapes courtesy of Home House.